I have been enjoying my Christmas toy. Esther gave me an iPod Touch. After a year and a half of envying Don's iPhone features, I have joined the handheld fun. 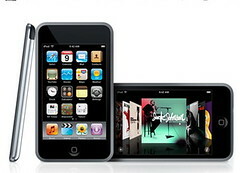 An iPod Touch is basically an iPhone without the phone, and the phone bill. There are thousands of applications available, and I'm only just beginning to explore them.